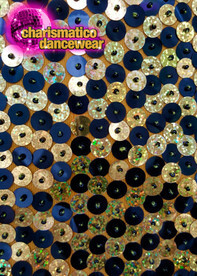 The half and half costume are designed with lines of sequins in black and green. The blacks and greens are placed alternative which is very fashionable and extremely attractive. 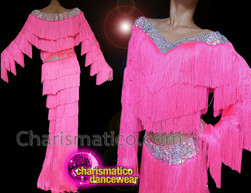 It is costume which will increase the glamour on a stage.